Coach Richard Cockerill is relishing leading Edinburgh back to the top table of European club competition for the first time in four years but was typically forthright at the Dublin launch for the Pro14 sides involved in the Heineken Champions Cup which starts next month. “It’s a very tough pool but that is good for us. The reality is we are not going to win Europe,” was Cockerill’s stark verdict. 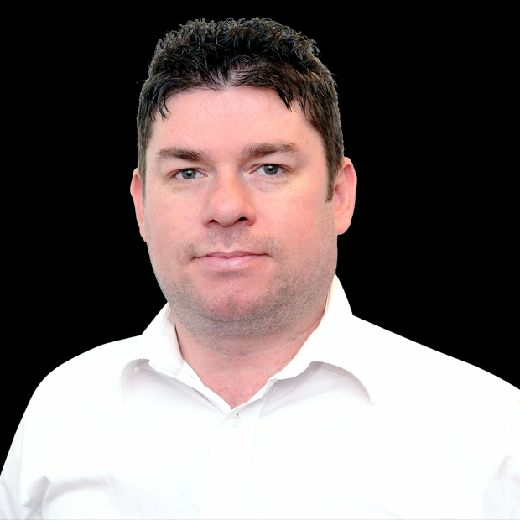 The fierce pool which also includes French giants Montpellier and Toulon and the resurgent Newcastle Falcons, who will be motivated by the fact May’s finals weekend is at St James’ Park, is a daunting return to the competition and when asked why Edinburgh won’t win it, Cockerill’s answer was equally blunt. “Because there are a lot of better teams than us in it.. that is the reality of it,” said the Englishman. Cockerill had already raised the biggest laugh during the formal launch proceedings at the Aviva Stadium yesterday when one of the hosts asked him how he was enjoying life in Edinburgh. “Apart from the rubbish weather and the Scottish people it’s great,” he quipped. A return to a competition which Cockerill has been involved in at the business end with Leicester Tigers as a player and a coach clearly gets his juices flowing and he refuses to see the brutal nature of his side’s draw as a negative. “It’s a tough pool but that could be good for us,” he said. “For us as a club we have to learn to play at that level and win in Europe and do our best and try and put our best side out to win those games as realistic as that might or might not be, and then turn up and do it again. Our Scotland lads have to go and play Test matches. “It is a great tournament. If you are good enough you play. That is just how it is. I have played in quarter-finals, semi-finals and finals and coached in finals. It is a good tournament and you are testing yourself against the best. 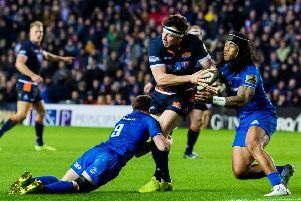 Edinburgh are focused on trying to bank Pro14 points after losing three out of four at the start of this season before that hard opening fixture away to Montpellier, who are coached by former Scotland boss Vern Cotter, and then a home clash with Toulon, with whom Cockerill spent six months as coach before joining Edinburgh last summer. If not becoming European champions, then what is the target in a competition which Edinburgh enjoyed a surprise run to the semi-finals back in 2012? “The target is to win as many games as we can,” said Cockerill. “The budget of the three teams we are playing far outspend us so you have to be realistic. “The ambition for us has to be to look strong and look to win our home games and away from home give it our best shot.